We all know reading food labels is important, but there are some ingredients that might need that second look. How many times have you read an ingredient that looked like something out of a science textbook? According to holistic nutritionist Danielle Felip, some of these ingredients — and even everyday ones like sugars — can be dangerous for our bodies in the long-run. "The average Canadian consumes about 26 grams of sugar a day and 35 per cent of this comes from soft drinks and candy," she tells The Huffington Post Canada. Felip adds that the three biggest offenders include foods with excessive sugar, MSG and trans-fat. MSG, for example, is often found at most fast food joints and in many guilty pleasure comfort foods. "Some people may experience an allergic-type reaction with the consumption of MSG and it has been linked to migraines, diarrhea and heart palpitations," she says. In Canada, nutrition labelling is mandatory for all packaged foods and companies must provide all ingredients added in their products. When you are reading ingredient lists, always make sure you research any unfamiliar ingredient. Some ingredients like saturated and trans fats, sodium and sugar can appear on an ingredient lists as several different names, according to Health Canada. Some experts suggest sticking to foods with only five ingredients, adding that foods with over five or 10 ingredients are often packed with preservatives, sugars and other additives that are hard to digest. Felip recommends looking at the first few ingredients — those at the top are the most used ingredients in a product. She also suggests not buying foods with unfamiliar ingredients, being cautious of "organic" and "natural" claims and always checking labels for sugar content. There's a reason why most sugary treats give us a rush. 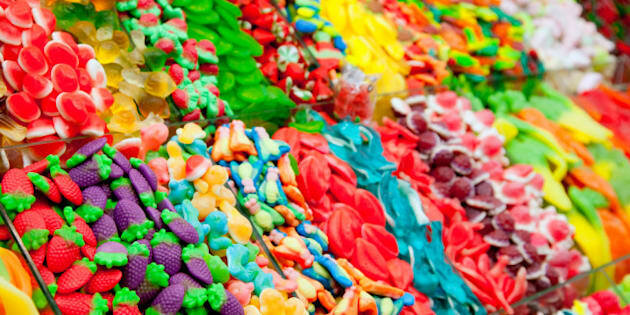 Hidden artificial colours in foods can cause hyperactivity and headaches, says holistic nutritionist Danielle Felip. Found in most white breads, bleached white flour is usually stripped of nutrients and fibre and adds little value to our diets, Felip says. This ingredient is found in most processed foods, including lunch meats, and has no nutritional value, Felip says. It has also been linked to increase risks of type 2 diabetes, and overconsumption can be damaging to our livers. Artificial sweeteners give food that sugary taste that is also quite addictive. But Felip says that artificial sweeteners are usually chemically derived and have been linked to migraines and even cancer. BHT or butylated hydroxytoluene is often added to most processed foods to preserve fats. Felip says overconsumption of this chemical can cause allergic reactions on the skin. Partially hydrogenated oils (which are often found in cake mixes, peanut butter and baked goods) can decrease good cholesterol levels, are linked to heart disease and are hard for the body to dissolve, Felip says. MSG (monosodium glutamate) is a food additive that is found in many foods, especially in fast food restaurants. Felip says MSGs often overexcite our nerve cells in the brain and can even (eaten in large amounts) cause brain cell death. On top of that, MSGs also can lead to exhaustion after a big meal. Sodium nitrates and nitrites are chemical compounds commonly found in meat products like bacon and hot dogs, according to about.com. Nitrates and nitrites can affect the way your body uses sugar and may increase the risk of diabetes and colorectal cancer, Felip says. Sodium benzoate is a chemical preservative that is used to prevent the growth of bacteria in foods like jams, fruit pies and soft drinks. "It can also deprives our cells of oxygen and weakens the immune system," Felip says. Sulphites are food additives used to preserve food colour and prolong shelf life in many food products including canned fruits, frozen fries and soy products. Felip says sulphites can cause allergic reactions and flushed faces and swelling of the eyes, face, tongue among others.